Still keeping her Hanson hometown near to her heart, Kristen Merlin will be home in just a few days to perform after her recent move. She is settled in Nashville, after relocating this fall, where she said she is deeply immersed in writing and defining her musical profession. 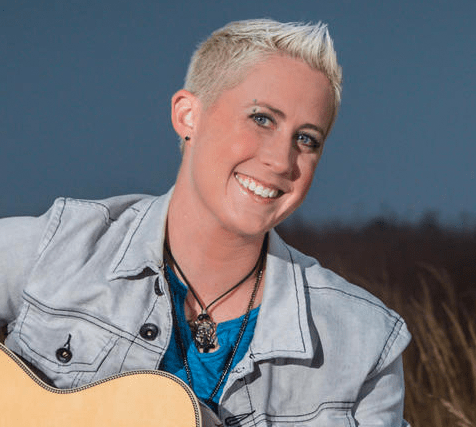 Merlin who will perform at the all-ages show with a full band plans to entertain with her originals from her CD, “Boomerang,” as well as all the fan favorites. She is anticipating playing her new originals and giving fans a taste of what she has been accomplishing in Nashville. She regularly participates in writers’ rounds, usually attending two writes a day for several hours with other artists and writers. “It is a great night of networking and a new sense of adventure for me,” she said. Merlin has always wanted to take her talents to the next level with her original music. In an interview with the Express less than two years ago Merlin said becoming known for her own music was her ultimate dream. “On a national scale I hope for my own words and music to be impressing to others,” she said in 2015. Merlin has proved time and again that she can belt out all genres of music and has demonstrated her vocal strength in her cover shows developing a fan following on the east coast. Discovering new stomping grounds, she has been performing before live audiences at some recognizable pubs in Nashville — The Listening room, The Dawghouse Saloon, Tin Roof Bar, known for its laid back style and live music sets, and the Pour House to name a few. The move to Nashville was a worthy choice as she was continuously traveling back and forth. “I can be a lot more productive while I am here. It felt like the right time to make that next step to be full-time in Nashville,” she said. She was exhilarated to recently co–write with Lance Carpenter, a well-known songwriter who penned “Love Me Like You Mean It,” performed by rising pop-country singer Kelsea Ballerini. Over the Christmas holiday Merlin performed with “Country Girls in the City” at Loretta’s Last Call in Boston. The group was combined with regulars who perform in the group: New England to Nashville. “We played to a packed house,” she said. Merlin’s last all ages show, which was jammed with hometown fans and friends was at the annual Marshfield Fair last summer. She recently became part of the McPherson guitars family last year and is endorsed by Kevin Michael carbon fiber guitars. The guitar is made of carbon fiber and is unlike any wood guitar. “The McPherson guitars caught my attention with the Kevin Michael line. It has become one of my new favorite toys. The sounds that I can get out of this guitar are beautiful,” she said. The process of writing sometimes is built on a single word or hook. With her ear trained on sounds, for Merlin, writing rounds are often inspired by simple conversation. “Something usually jumps out. Listening and working with different writers has brought diverse experiences in each session and each level is a step towards creating a song,” she said. Honed in on her writing she is motivated to challenge herself and steadily evolve musically. “He’s a friend first, and fellow musician. I enjoy trading stories . . . checking in and seeing his path musically,” she said. “Each one of us is still taking the journey she said of her fellow Voice competitors. Merlin progressed to the top five on Team Shakira on NBC’s Season Six in 2014.